You are here: Home / Essential Oils / Juniper Berry Oil Benefits: Weight Loss and Cellulite? Juniper Berry Oil Benefits: Weight Loss and Cellulite? A strong natural germ killer is juniper berry oil. But can simply taking a whiff of its essential oil really help you lose weight? Or, is this just natural healthy quackery at its most absurd? So says the misogynistic rap song by Snoop Dogg. Well, it turns out that Snoop might have been on to something. Gin, the rapper’s alcohol of choice, is made from juniper berries. And the essential oil from juniper is many an herbalists’ and natural health user’s top choice for inducing sleep and relaxation. That’s great news if you’re prone to the mad munchies (pigging out at night). Several studies like this one prove, not surprisingly, that when you’re feeling calm, you’re much less likely to binge eat at night. So break out the juniper berries! And feast away. Juniper berry (J. communis) looks almost exactly like blueberries. But don’t let it fool you. It’s a fake fruit. Rather, it’s actually a seed. That technicality aside, the seed contains about two percent volatile oil. “Volatile” doesn’t mean that it’s going to blow up in your face. All it means is that the oil turns into a vapor. The vapor can be inhaled in the form of an essential oil. If you’re at a spa getting a blissful massage, there’s a good chance the therapist might be diffusing a blend with juniper berry oil. (Henceforth “JBO” or “JEO” for ‘juniper essential oil’; the terms are interchangeable). JBO contains more than 100 compounds. And these compounds have been proven in several research studies to offer several health benefits. We’ll be taking a look at some juniper berry oil benefits and uses shortly…. We’ll also examine its potential for fighting cellulite, weight gain and hair loss. For centuries, the berries were used for two major reasons: medicine and as a flavoring spice for meat. For the former, the seeds can help fight wounds and infections because it acts as an antiseptic. And the interesting thing is, as we’ll see shortly, research confirms JBO is indeed a bacteria killer. In addition, traditionally, the seeds (remember, they’re not actually berries) stop diarrhea and other abdominal disorders. Moreover, the compounds in the seeds help close the pores. This makes juniper berry oil worthy of consideration for your natural beauty regimen. A study from Croatia reveals what makes JEO a potent germ killer. The main compounds in it are: alpha-pinene, beta-pinene, sabinene, limonene, and myrcene. But you’re not reading this for a biochemistry lesson, right? OK, just the facts. Well, it turns out these compounds are proven to neutralize 16 bacterial species. Wait a sec. What’s a dermatophyte you ask? Great question! It’s a disease-causing fungus. Frighteningly, it can grow on your skin, mucous membranes, hair, nails, and other areas of your body. At minimal, this kind of fungus causes ringworm and related diseases. Juniper berry oil is most effective when killing a certain species of Candida. An overgrowth of candida in your gut can produce numerous nasty symptoms, from bloating to chronic fatigue and autoimmune disorders. Let’s be clear for a second. Drinking gin, especially if it’s mixed with juice, is not a health elixir. But this study in an influential medicinal plant journal suggests Juniperus communis lowers blood sugar (at least in rats). Are juniper berries the proverbial fountain of youth? Of course not. There’s no singular food or plant that will help you live a really long time. But just as death can be had with one thousand paper cuts, the flip side is true with wellness. It takes several fountains of youth to prevent disease. And according to this research in the journal, Antioxidants, extracts from juniper are one plant remedy that can fight aging. You have an abundance of ROS in your trillions of cells. ROS stands for ‘reactive oxygen species.’ These microscopic organisms are a natural byproduct of cellular metabolism. And similar to cholesterol, ROS isn’t a bad thing; your body needs it to function. In fact, at lower concentrations they participate in basic everyday reactions in your body. Like cholesterol and candida, though, when there’s too much ROS, problems arise. The overproduction of ROS leads to cellular aging. It turns out that the components of juniper berry oil keep ROS in check. Simply put, that means it contains antioxidants. And these particular antioxidants in JBO keep your healthy cells from aging before they’re supposed to. Moreover, the essential oil has a chelating capacity. This means that it binds to harmful substances and drives them out through your elimination system. Pretty strong words for a fruit (ok, technically, seed) that outside of natural health circles is most popular for flavoring alcohol. This research takes a look at 20 years of research on the compounds in the juniper plant. In addition to the above benefits of the oil, the research shows it helps protect the liver. Also, if you have high cholesterol, start planting a J. communis plant. It takes a couple years to produce the berries. But the seeds may help normalize cholesterol levels. All these benefits sound great. But there’s some hype on the blogosphere that this medicinal plant can help reduce cellulite. Consider the studies above and others that suggest it fights inflammation. And helps with metabolic issues. Thus, perhaps it’s not a stretch (no pun intended; stretch marks, get it?) that JBO can reduce cellulite. After all, cellulite is fatty deposits pushing through the connective tissue beneath the skin. And this study proves that JEO helps form human dermal fibroblasts. Dermal fibroblasts are cells within the dermis layer of skin. They are responsible for generating connective tissue and allowing the skin to recover from injury. The researchers conclude JEO is a promising therapeutic candidate for inflammatory conditions in the skin. Cellulite is an inflammatory condition. So perhaps the remedy does work…. 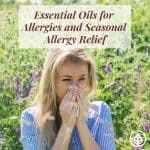 According to a Bustle blogger (try saying that fast 5 times; you’ll most likely end up saying “blah blah” by the end), a unique recipe with juniper essential oil worked for her. Her recipe contains one cup of raw cocoa butter. And ¼ cup of coconut oil, along with one tbs. Beeswax, 6 drops lemongrass and 8 drops JEO. To make the cellulite cream, blend the ingredients in a blender. Store the mix in a sealable jar. Apply it directly on the site of the cellulite. However, using it doesn’t work for everybody. Take this HuffPost blogger (much easier to say 5 times), who used a combo of JEO and apple cider vinegar to no avail. Like cellulite, there’s online hoopla about using the oil for hair. But is this all-natural remedy any better than, say, marula, coffee, sesame, blackstrap molasses, avocado, babassu, and other natural remedies? What JBO has going for it is that it contains nutrients that nourish hair. These include calcium, potassium, zinc, B vitamins, and beta-carotene. But in real life, does it work? Well, according to Dr. Axe, who is becoming a household name in natural health, it’s one of the 7 best essential oils for hair. Granted, considering Dr. Axe is a chiropractor, not a medical doctor, no MD will take his website’s claim seriously. However, there is lots of other anecdotal evidence to support the use of JEO for hair. There’s also reports it can help you lose weight. Primarily, it does this by helping curb appetite. If you recall from the very beginning of this post, after Snoop Dogg’s infamous quote, it was mentioned that when you’re more relaxed, you don’t eat as much. So maybe there is some truth in this plant’s potential for helping people lose weight. This brings up an important point if you’re trying to lose weight…. Next time, you’re tempted by a high-sugar snack, take a whiff of your favorite essential oil. Always have some JEO in your car or pocketbook. And, if it’s a juniper berry oil you can use internally, you can even add it to your recipes. Now that’s an interesting way to feel laid back…..